Hi guys, can somebody help? 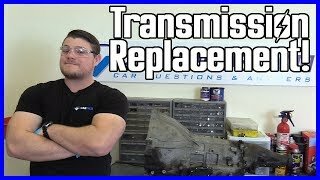 My cars transmission quit shifting, it stays stuck in 1st gear. It has 75000 miles, the check engine light came on and the code came up as po700. Transmission control system malfunction. every time I take my car to the shop its like they want me to rebuild the whole car. I realllly hoping that there is some kind of sensor or something that I can check or change or has the transmission went out? any advice would be so greatly appreciated. P700 is a general transmission code. You need it scanned to find the specific code which will narrow the problem down for you. I've heard that Autozone etc will scan it for free.